I need to win this more often! After a few more games of Edo, I am not sure if there are any more paths to victory than just building. There is a Merchant for you to use but most of the time people are just building to win. The path seems all the same. Grab resources and then choose where to build your buildings and then score points and win. Essentially its to see if you can do it faster (or more efficient) than the other players to win the game. Most of the time we tend to shun the merchant. In this latest game, I did try to go just purely merchant way to see if I can score and win with it. But its often quite difficult to do so unless you have a lot of $. Because you can use it to buy the extra resources but more often than not, its probably more efficient to go to the resource areas and grab them than via merchant. Edo is still quite an interesting game for me because I am often torn between buying MORE tiles and using the tiles efficiently to get an engine going. I should pay attention to getting more money though because I realise that most of the winners usually had a lot of income per round to enable them to build the fortresses for the win. Episode 12 is now LIVE! Click on the link on the right column to access it. In this episode, we talk about games we last played that are of interest to us. Namely, Principato, Lost Legacy, Brass and Firenze. Also take note our First every CONTEST is still ongoing and you have up to 30 June to enter! We will announce the winner in Episode 13. Sceptre of Zavandor is a medium weight euro where players are trying to build up an engine of sorts to generate enough Dust (currency in the game) so as to be able to purchase Artefacts and Sentinels with which to score points in. The game also ends when 5 of 9 Sentinels have been purchased and then the player with the most points will win the game. We never even reached the forts! Tried something new. Dragon Valley is a euro-style light-medium weight game where players are humans defending against orcs, battering rams and dragons and in the end, hopefully bringing the fight to their own fortresses all in the name of scoring points. The player who first reaches 30 points will win the game. 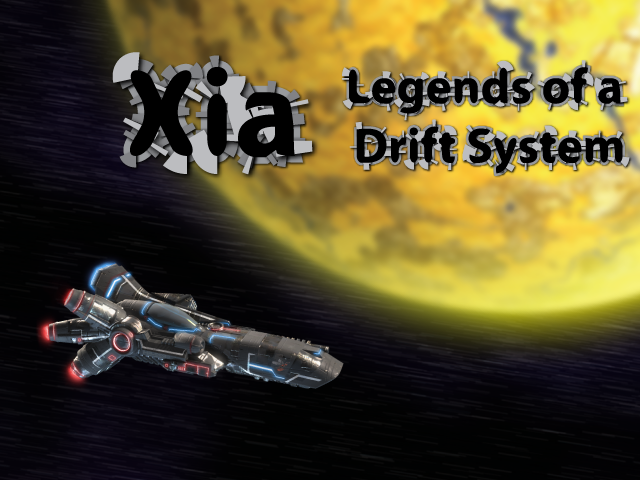 Xia: Legends of a Drift System ( Xia ) is designed by Cody Miller. 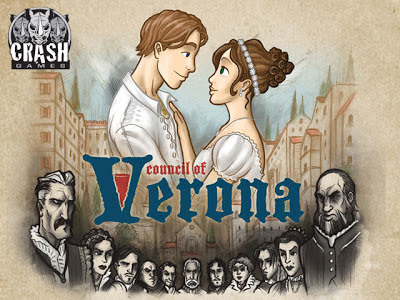 He is currently trying to raise funds on Kickstarter so that the game may be published some time next year. This is Cody’s first foray into game design and he has been designing Xia during his free time for the past 7 years. Cinque Terre ( pronounced as chin-kweh-tar-air ) is designed by Chris Handy and has been described by some as the pick up & deliver version of Ticket to Ride. Or some have also said that it’s the slightly heavier / meatier version of Ticket to Ride. 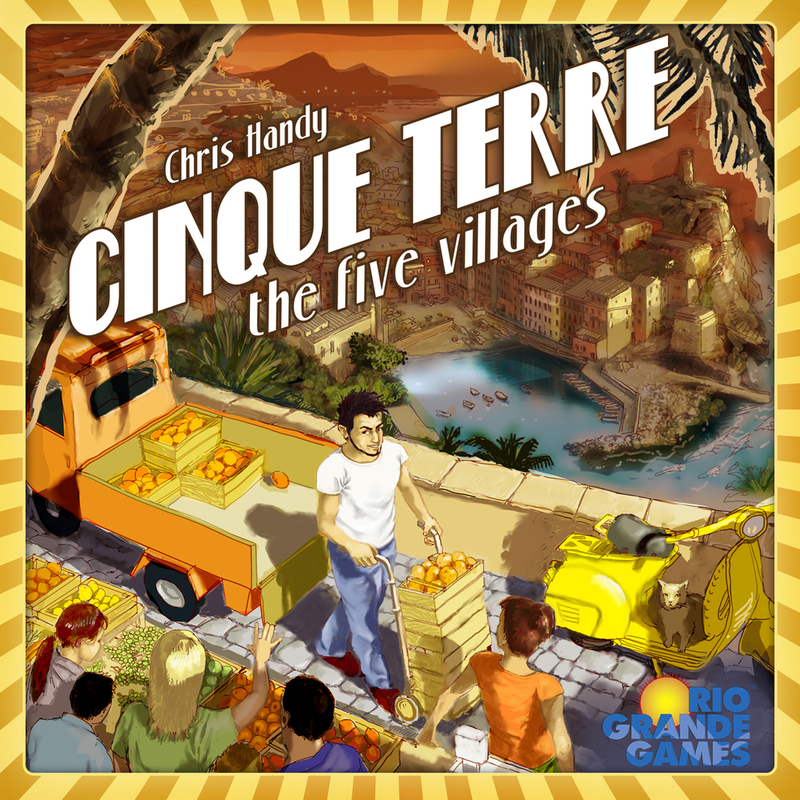 Chris Handy’s other designs include Long Shot and Handy. Our last game of the night to round off a almost 9 hours of gaming session was Hansa and we had 1 new player with us. 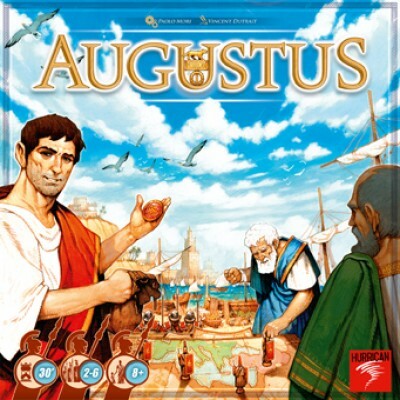 Now in this game I have always ignored the action track (to get more actions) and did all sorts of other ways to score points. Mostly though I went with occupying cities because I can force the game to end faster before the others get their "engines" running and still score respectably. Bora Bora: Ignore the temple and you will be screwed! 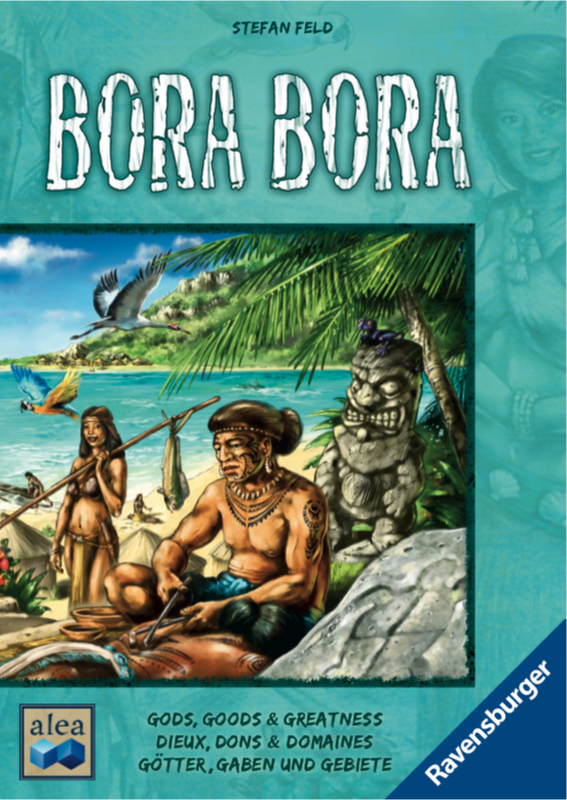 So I played another 4 player game of Bora Bora and I was going to try out the same tactics again with the 12 tiles final bonus but its way more difficult with 4 players. I ended up completing the 6 construction tiles and occupying the whole space for 12 points. I also managed to finish all of my objectives and get that bonus as well. Still I was squeezed out of about 10 points from the fishes at the end when players decided I was the bigger threat. I also ignored the temple track and Jon won by about 10+ points, scoring on both the temple tracks and the man/woman tiles that provided points.